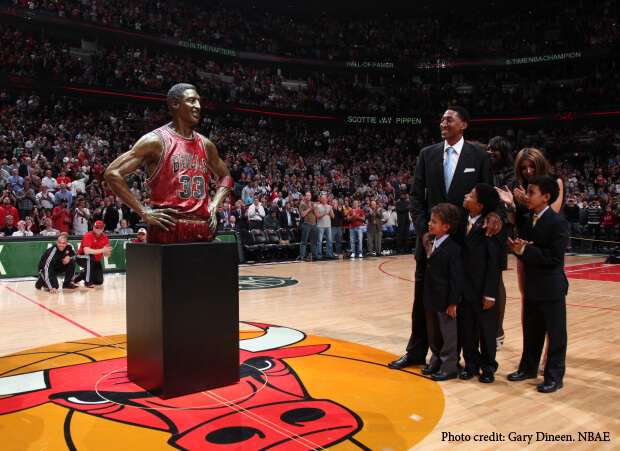 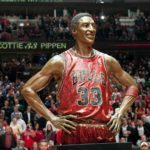 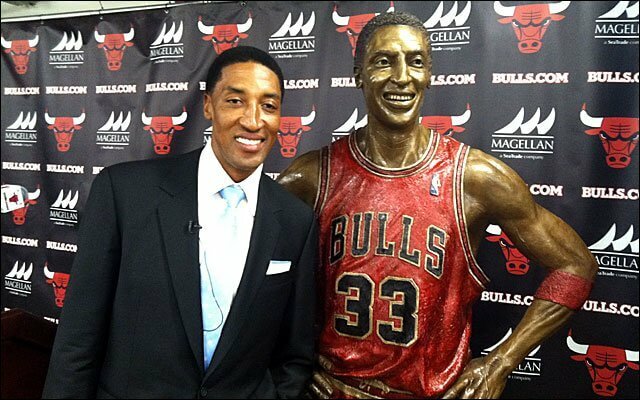 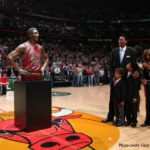 This life size, half-figure, bronze casting of Scottie Pippen, one of the Chicago Bulls greatest players, is contemporary in its use of a modern patina. 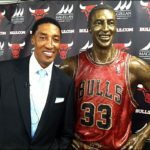 Scottie’s true character shines through in its relaxed and approachable expression. 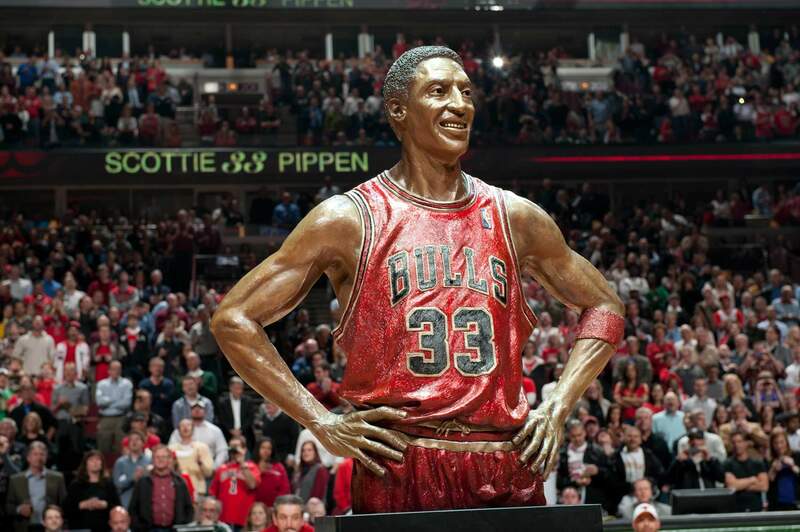 He stands inside the United Center across from the bust of Johnny Red Kerr, also done by Julie Rotblatt Amrany.